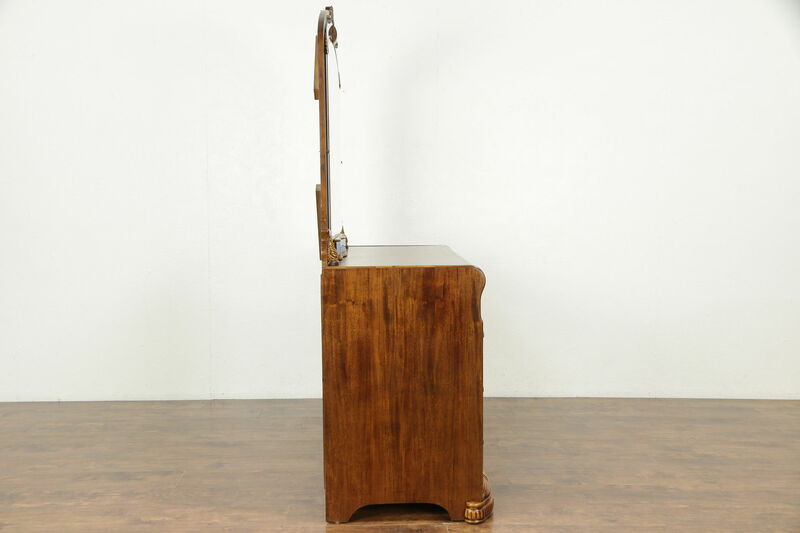 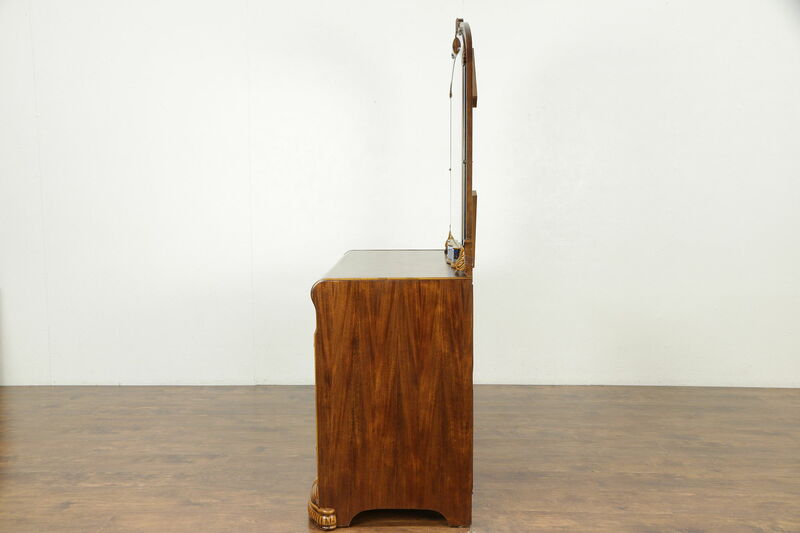 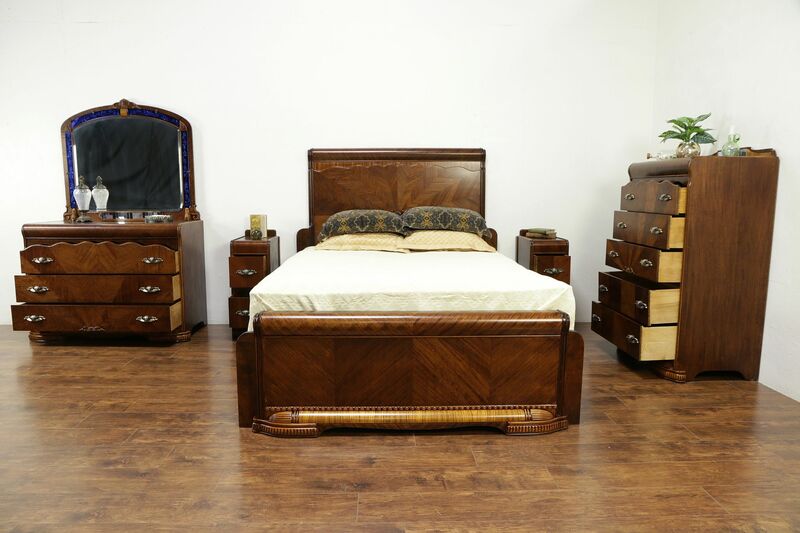 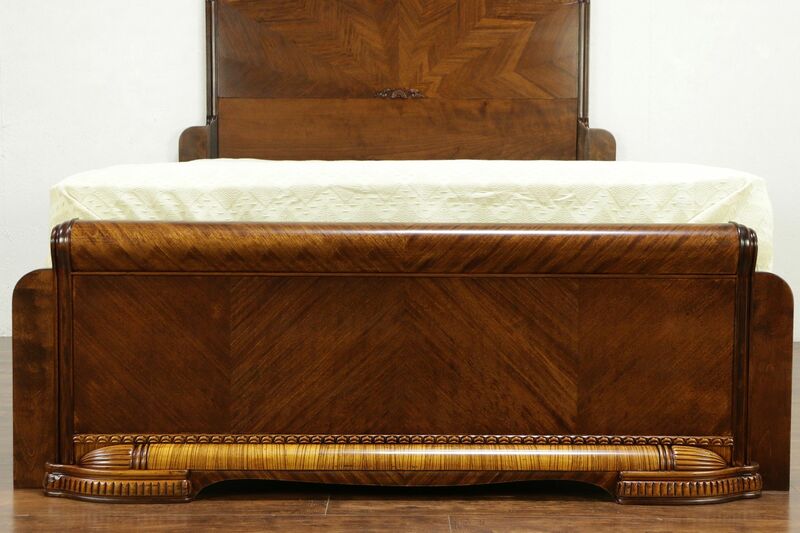 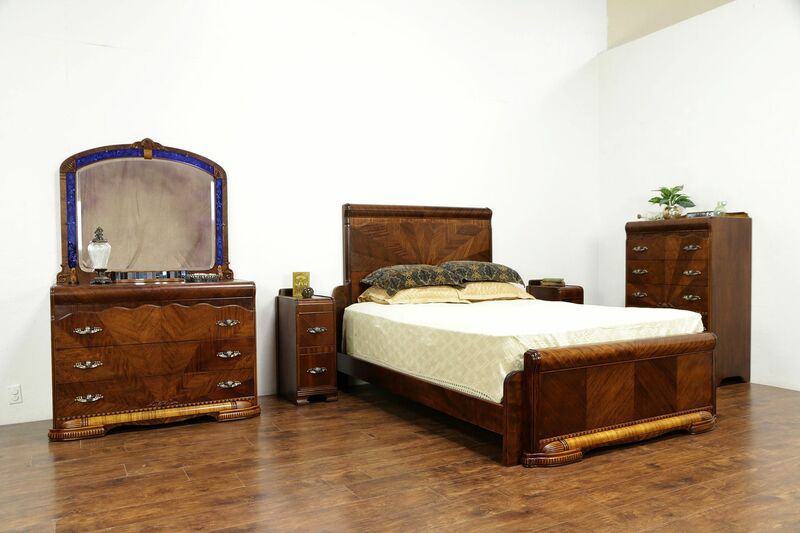 An exceptional five piece Art Deco period "waterfall" design bedroom set from the late 1930's includes a queen size bed, dresser and mirror, tall chest and pair of nightstands. 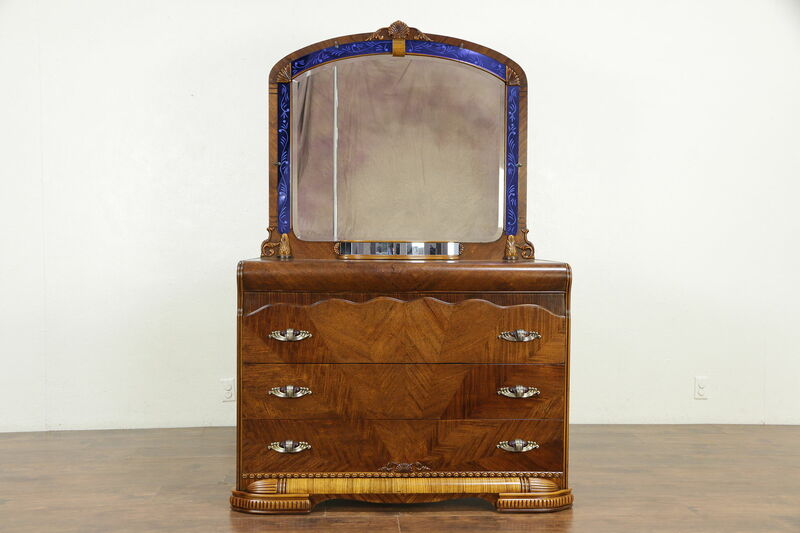 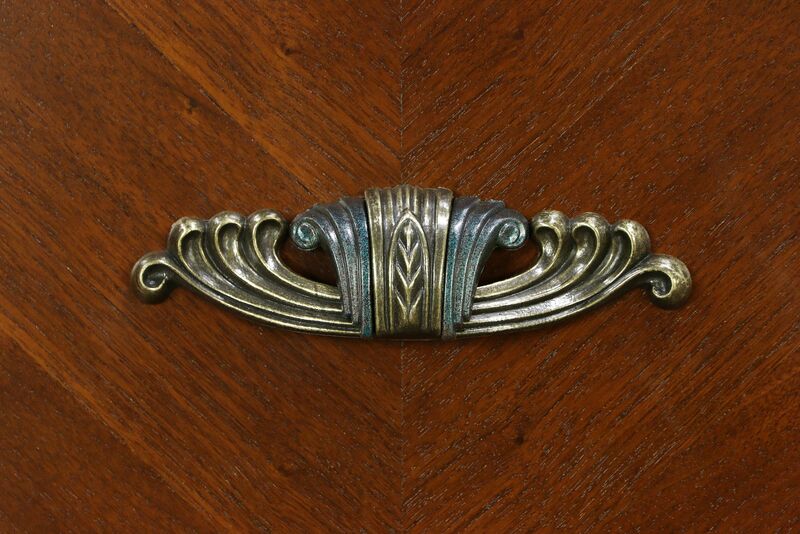 The matched "sunburst" design, mosaic mirror accents, blue reverse etched mirrors and matching blue bakelite pulls are stunning. 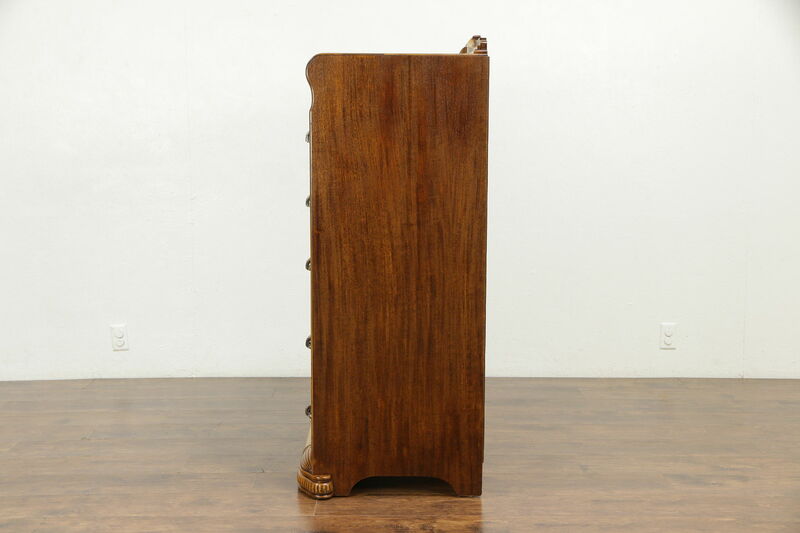 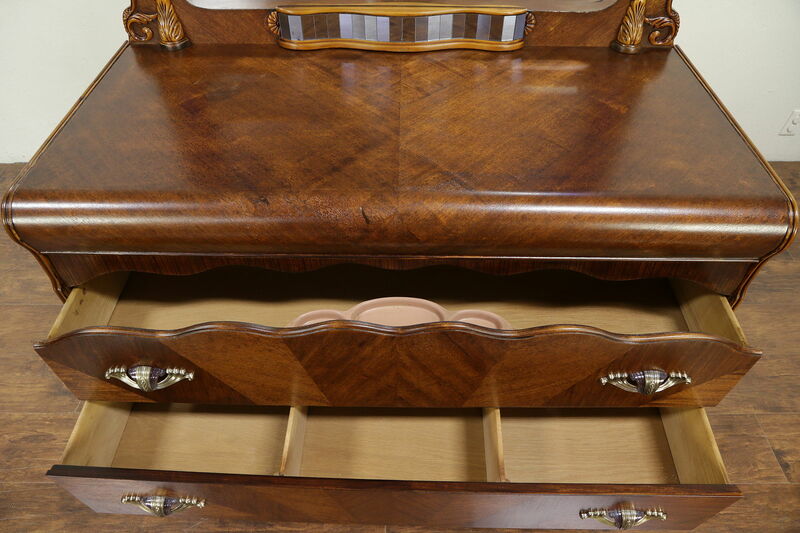 The restored finish is in excellent condition on mahogany and burl, preserving a few mars for a little antique character, see photos. 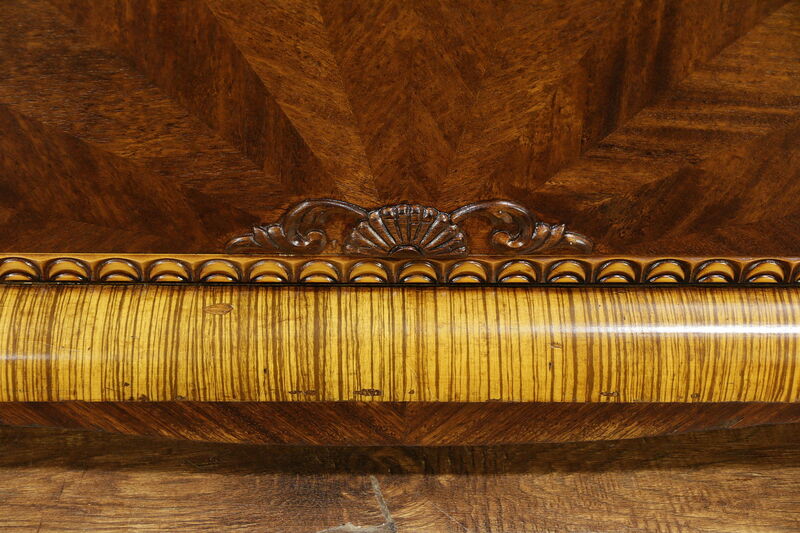 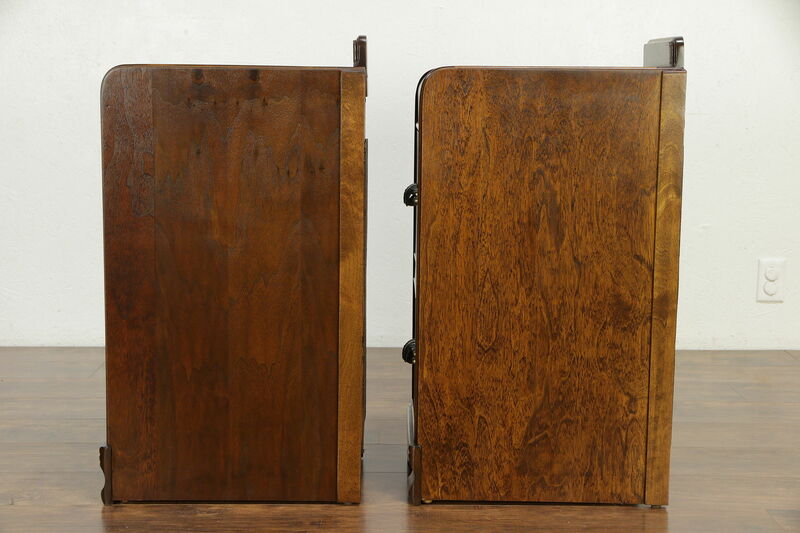 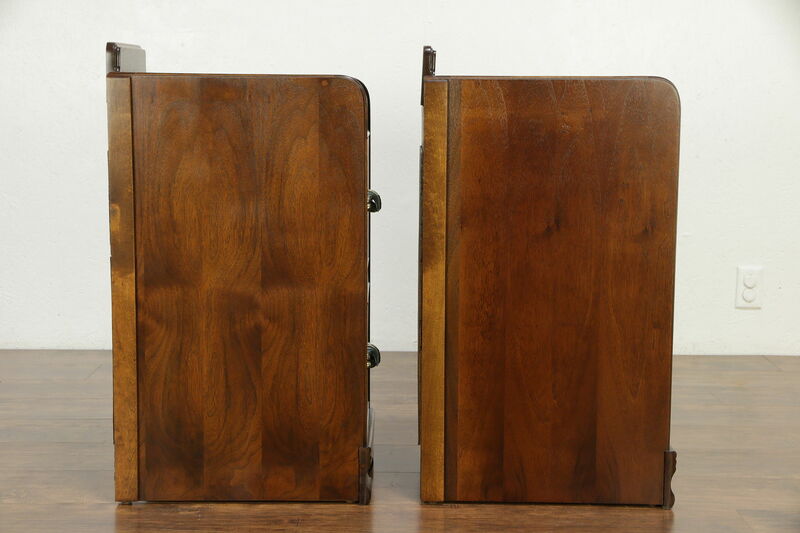 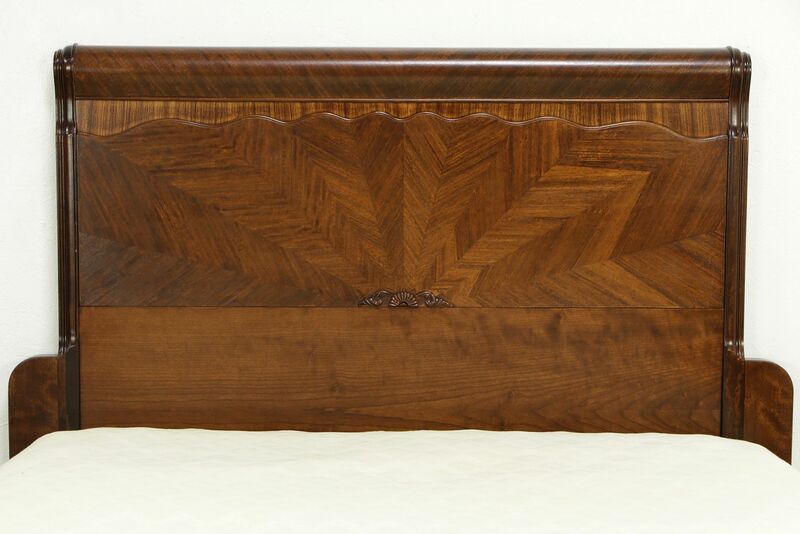 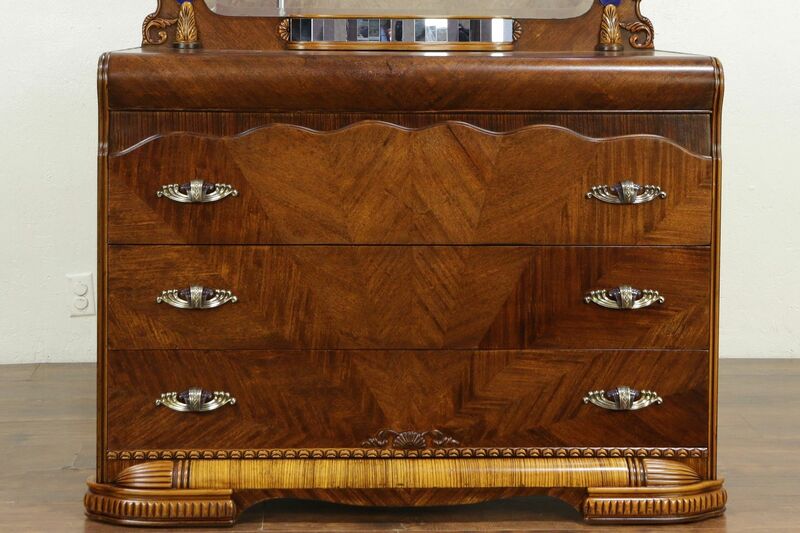 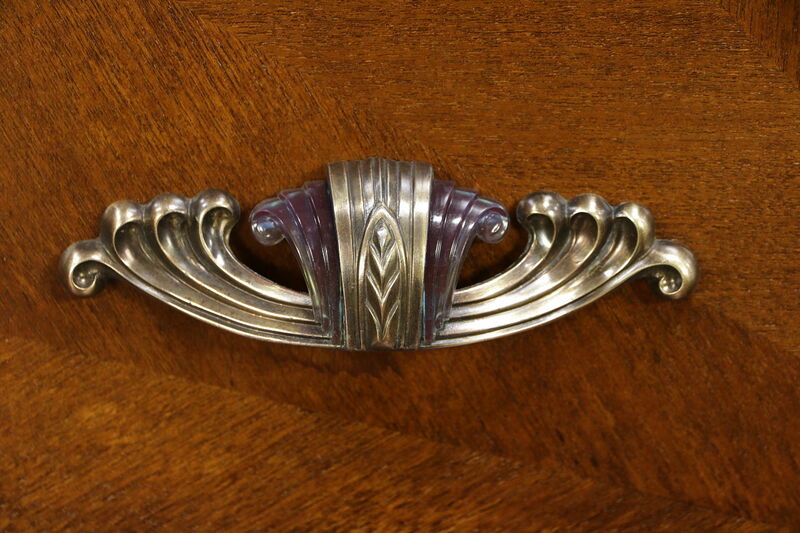 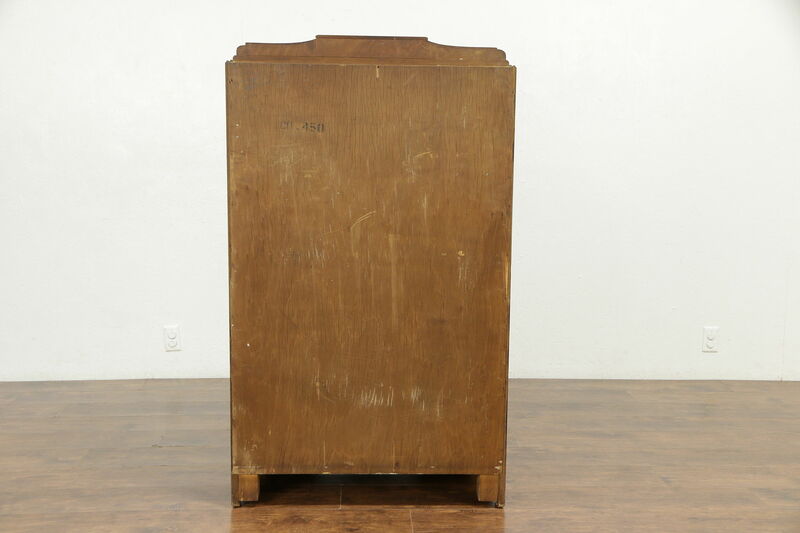 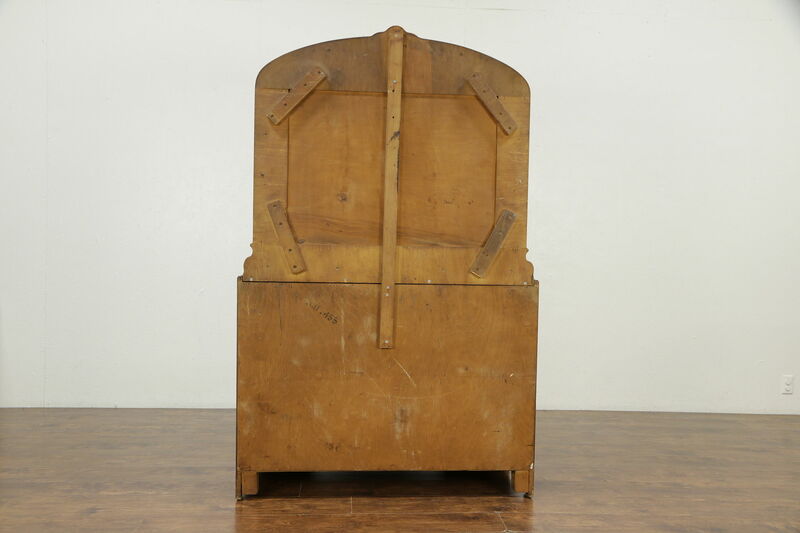 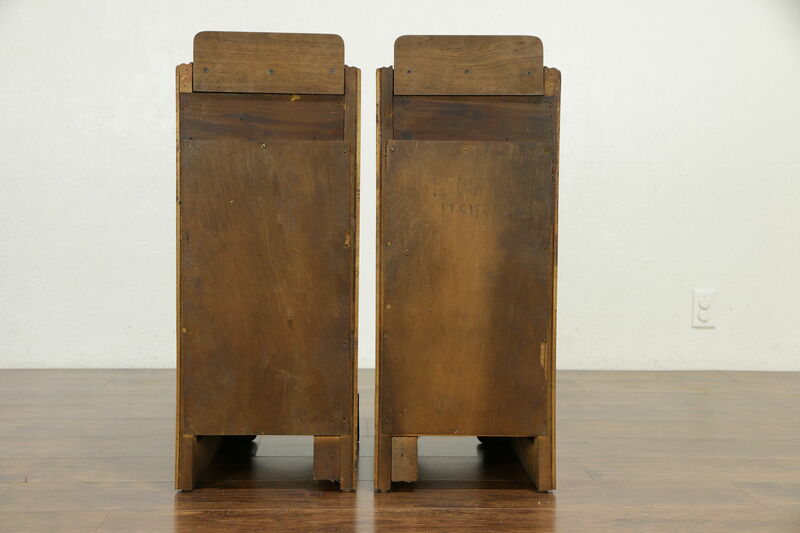 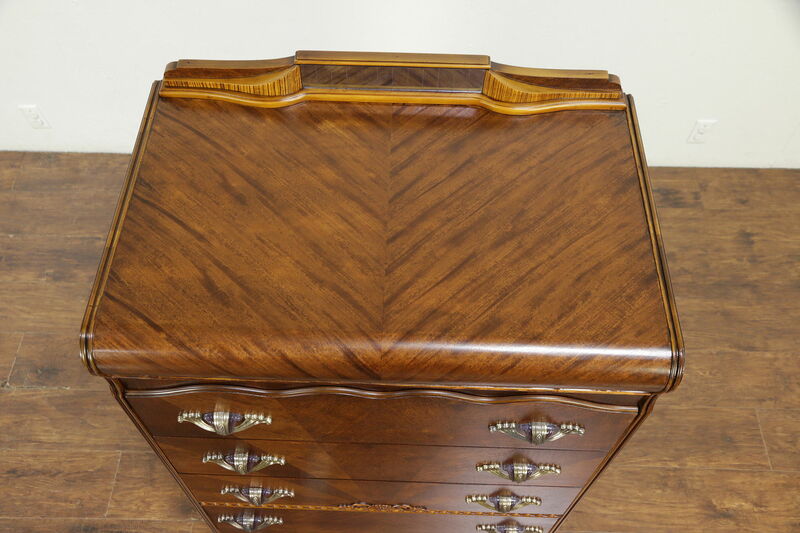 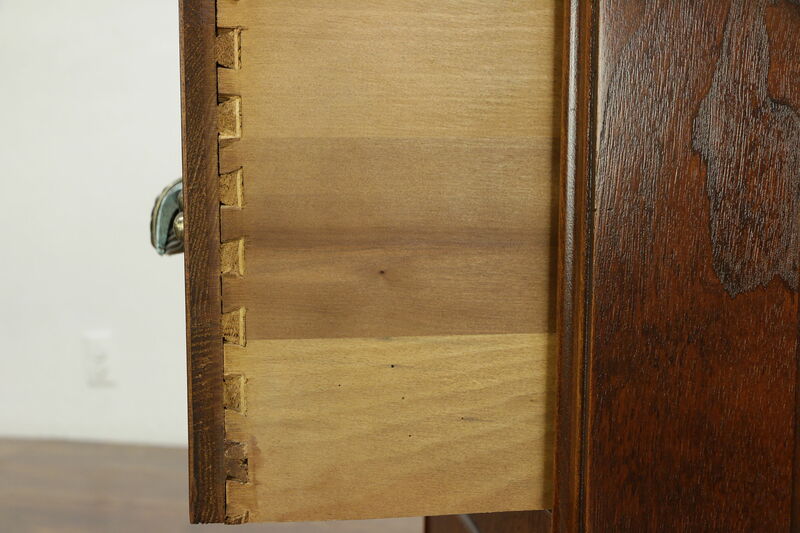 Drawers have solid oak sides with dovetail joints on this American made vintage furniture. 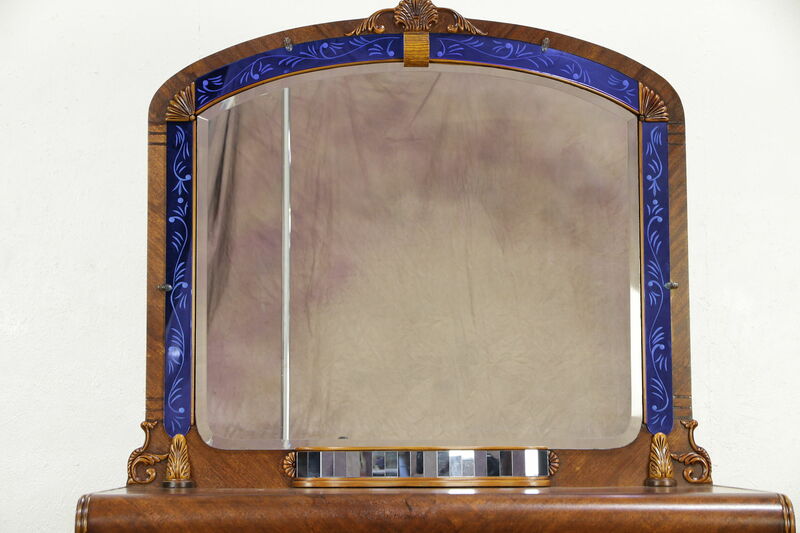 There is a little "smoke" to the beveled mirror to show its age. 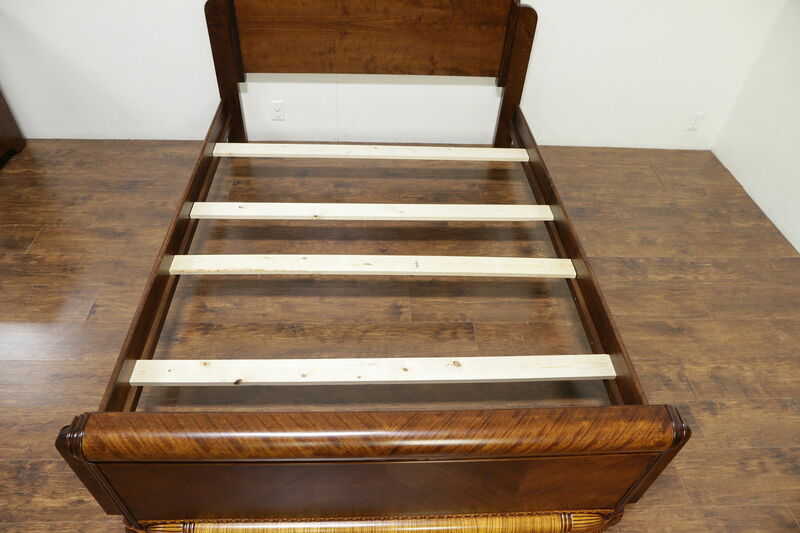 The bed has been expertly adapted to standard modern queen size, the demonstrator mattress and spring unit are 18" thick together. 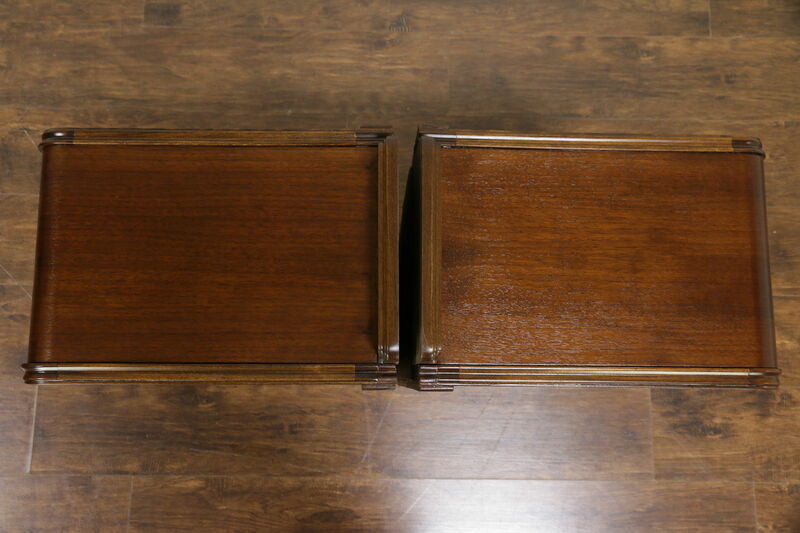 Wood cross supports are included as shown. 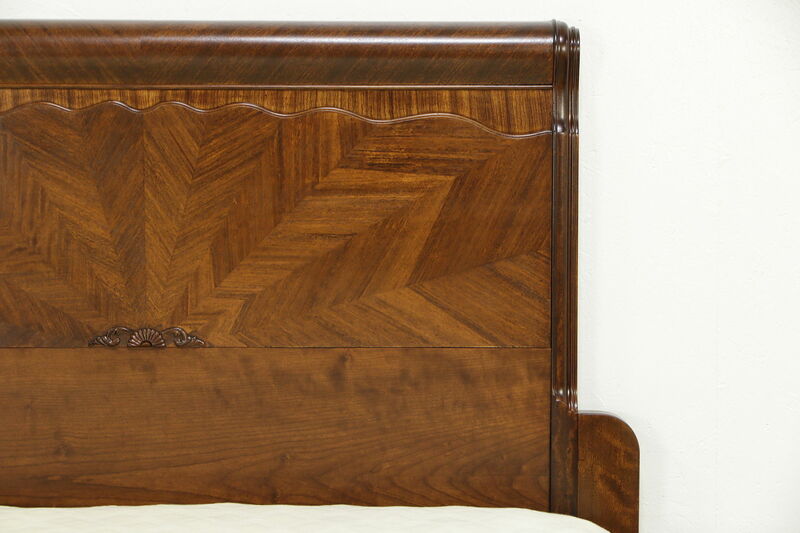 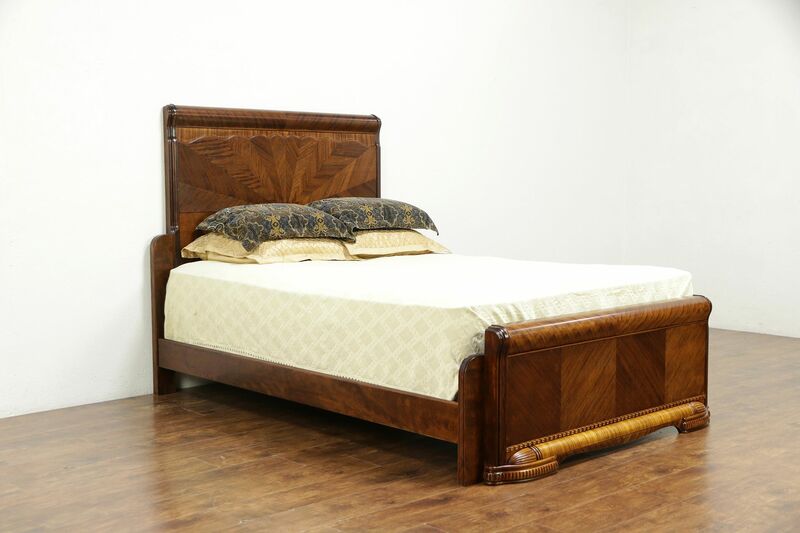 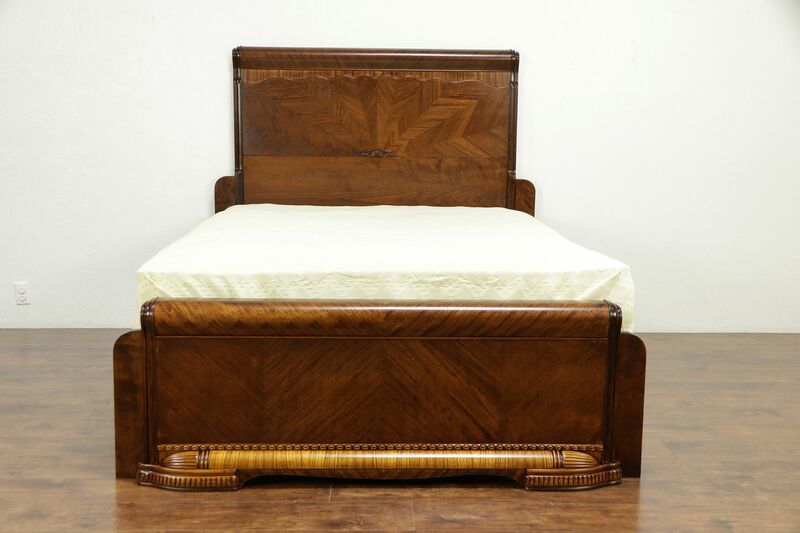 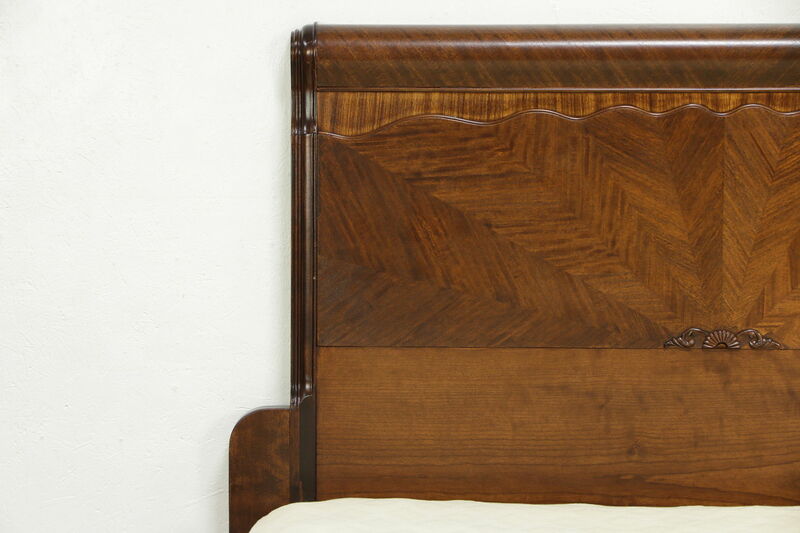 Size is 65" wide, 90" long, the headboard is 57" tall and the footboard is 22" high. 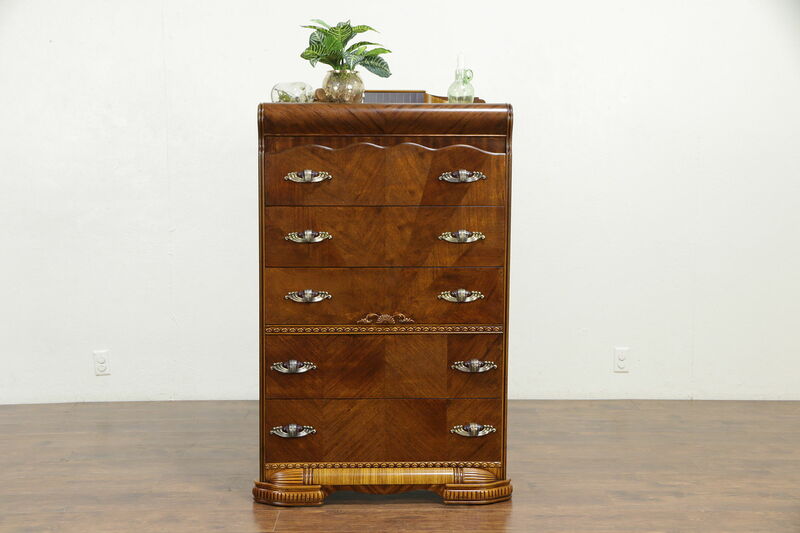 Tall chest size is 34" wide, 22" deep and 54" high, the dresser is 48" wide, 23" deep and 72" tall. 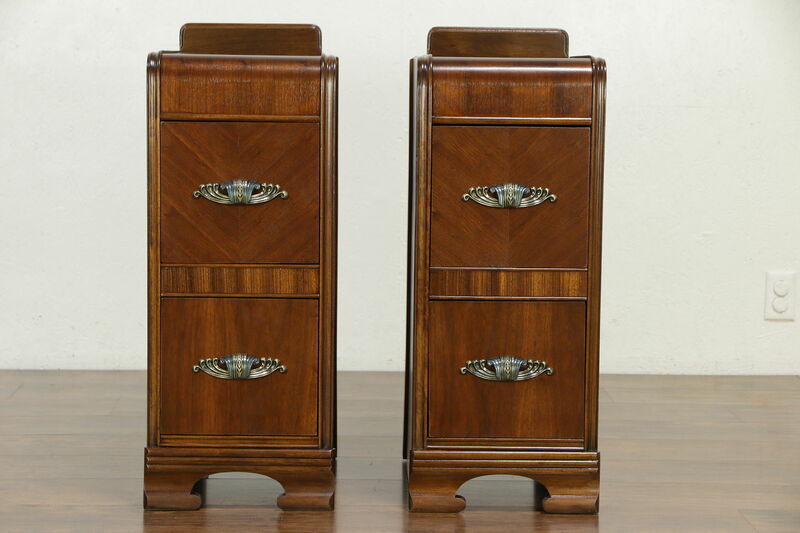 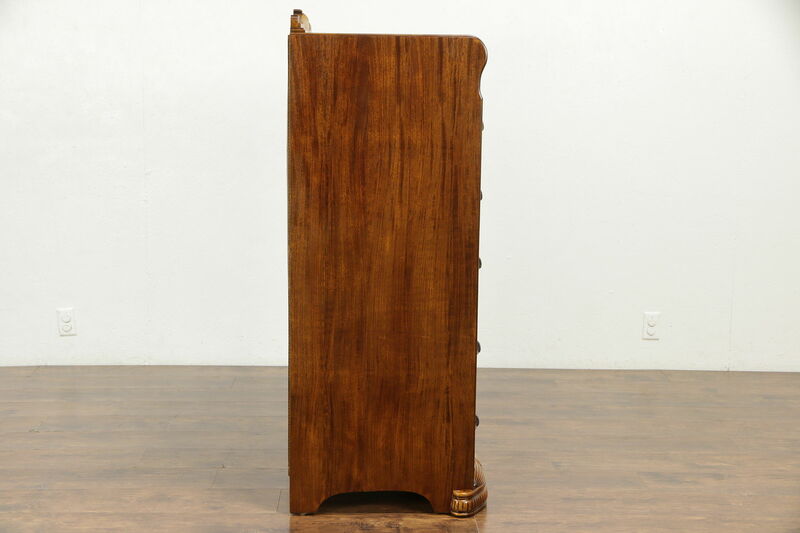 Nightstands are slightly different, measurements are 12 1/2" wide, 18" deep and 31" tall.